Large - $13.99 Only 6 left! The dark, cold streets of Gotham City offer little shelter for a hero, but fortune favors the prepared. That's a spot of advice that Batman has never ignored, crafting the perfectly tailored answer to any problem. 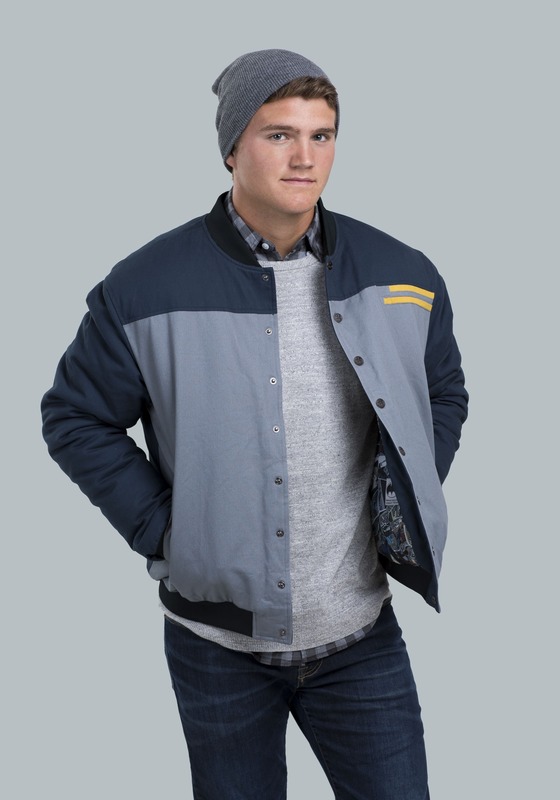 From the Batmobile, right down to the Batarang, each item keeps him ahead of the game, so it's no surprise that this themed coat carries on that tradition in stunning, undercover fashion. 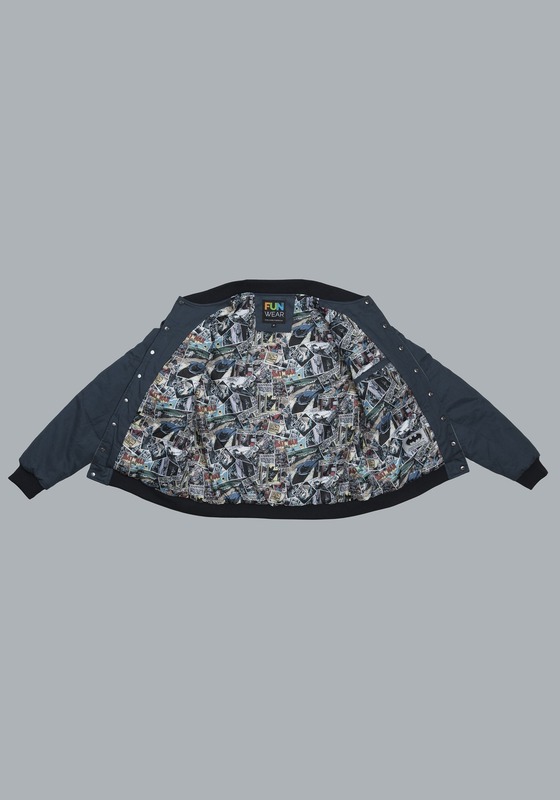 Inspired by the Dark Knight's desire to be prepared for any situation, this exclusive secret identity Batman casual jacket for men incorporates iconic details to create cold weather apparel that appeals to your life-long comic book enthusiasm, while keeping you protected from the inevitable winter chill that blows through your city. 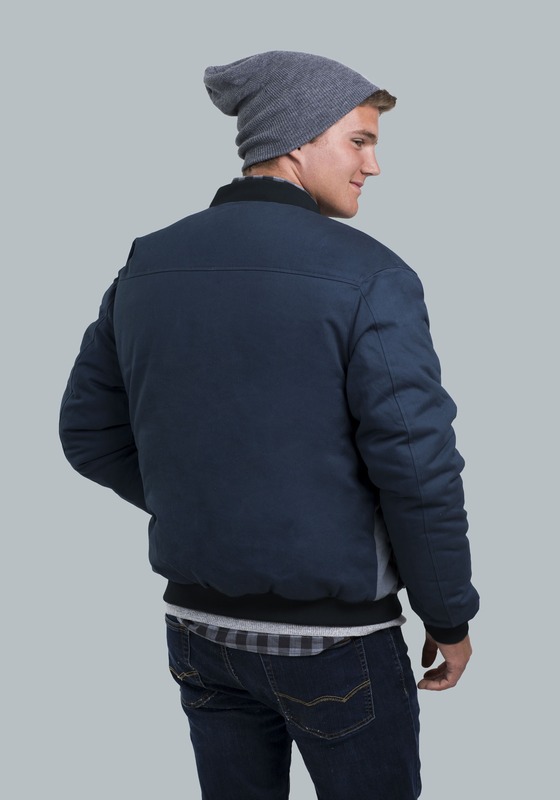 The dark blue and gray canvas exterior hearkens back to the classic colors of the caped crusader, creating a casual yet eye-catching style that works whether you're heading out for a stroll in the park, or if you've got a little after-work dinner to attend. 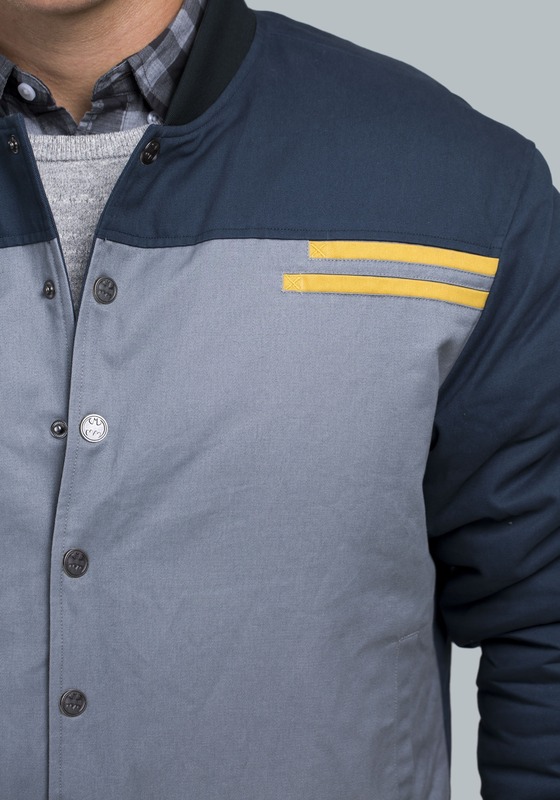 Each custom debossed button along the front features the bat symbol, but that's not the only subtle touch on this coat. 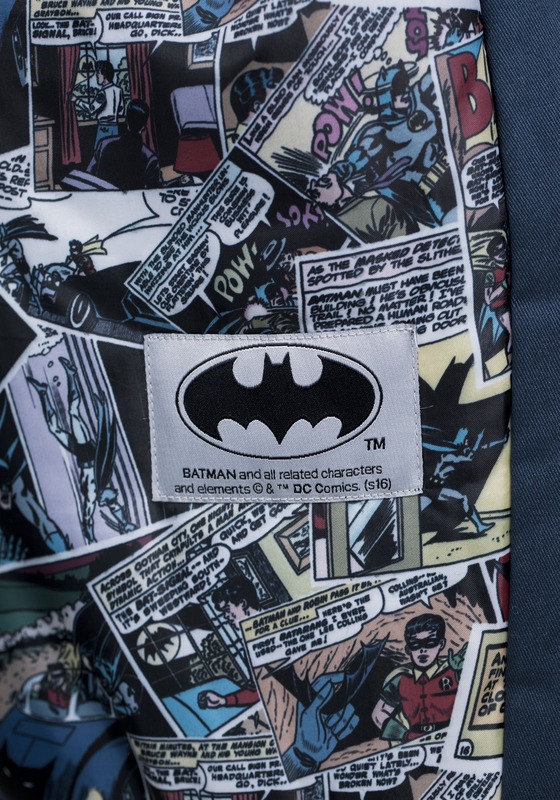 The interior is lined with comic panels lifted straight from the classic pages of DC Comics. You choose your level of exposure. 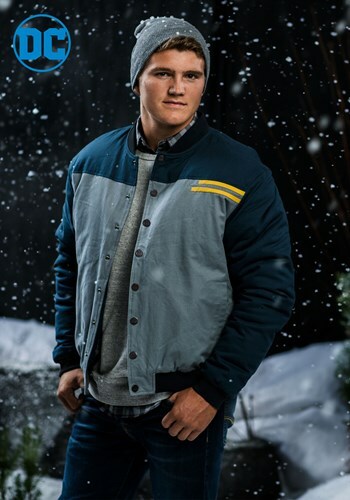 Whatever winter might try to throw at you, nothing prepares you for the challenge more than having DC's greatest detective providing reinforcements, and this exclusive jacket does just that. Custom Batman logo embossed buttons.